Popular Irony: I Love The City Bus! You know what really pisses me off? People that talk bad about the city bus system. There is no finer example of human transit than the beautiful city bus! How else would you get the multicultural exposure needed to truly appreciate this fine city's ethnic diversity? I get no greater pleasure in life than handing over my $2.25 to the never-smiling elderly gentleman driver and wading through the bovine masses that populate the first ten rows (less distance to walk, you see) and past the four teenage gang members that hang out in the aisle just waiting for you to bump into them, to the back of the bus where only the most experienced passengers are able to stand the stench of stagnant pools of homeless urine. There is no other way to experience the city! 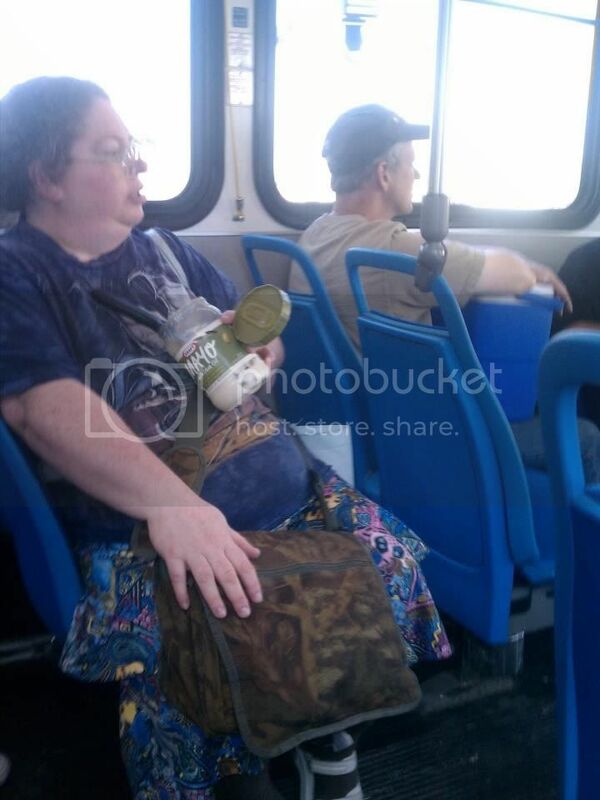 One time I watched an obese woman eat an entire jar of mayonnaise with a spoon! She barely took a breath between spoonfulls, and made it from opening the seal to discarding the jar in just twelve city blocks! Now you couldn't PAY most people to do that for your entertainment, and here she is on display for FREE! 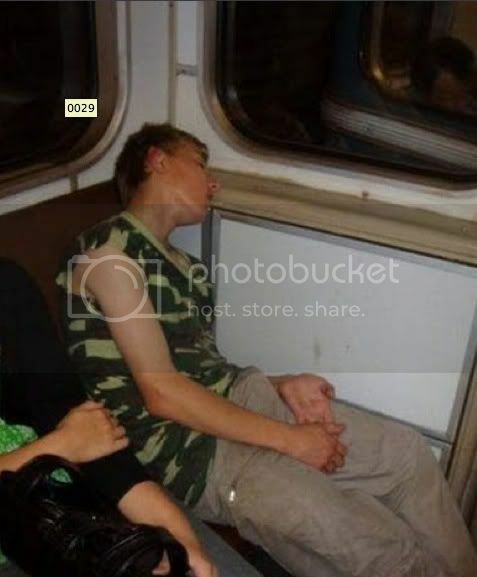 And another time I watched a drunk guy pass out with a full-on erection in plain sight! There were two guys that looked like they were going to rob him, but turned tail when they caught a glimpse of it. I mean, what an amazing defense mechanism! This drunk has evolved to display an aggressive erection to prevent being victimized in public. Ingenious! As far as I'm concerned the longer the trip on the public bus system the better! When you have to make transfers you can really bump into some interesting people. 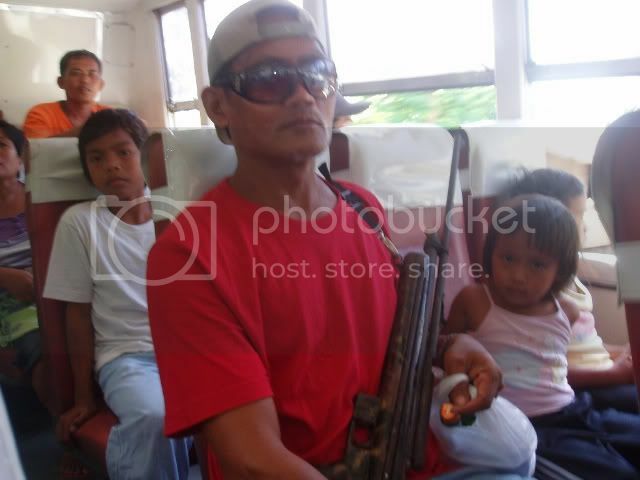 Once I ended up on a filipino bus that had an incredibly dangerous vibe, then I looked behind me and saw a man with a rifle sitting next to children! I was so taken with their cultural authenticity that I snapped a photo! The man was so flattered that he pointed the rifle at me and started shouting, just so I could enjoy a genuine inner-city bus riding experience! How great are these people? I am almost glad that I ran over that toddler while blind drunk and lost my license. Without that happy tragedy I would have never been exposed to the awesome world of the city bus system! See you later... On the bus!